Throughout this unit, students will be exposed to some of the aspects that a computer programmer would consider when coding a simple animation or game. Students will learn basic coding terms such as algorithm, conditional statements, loops, and events. 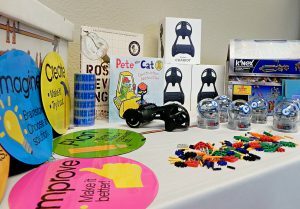 The goal of this kit is for students to begin thinking about how video games and computers function. Students will practice coding skills by playing with OSMO’s coding game as well as create an animation using Scratch Jr. Throughout this unit, students will be exposed to robots and the Engineering Design Process. 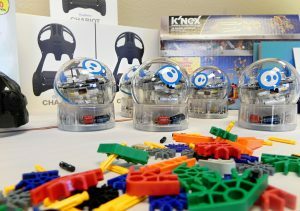 The goal of the kit is to encourage students to explore robotics and coding through play. Students will work to solve a problem by identifying the problem, asking questions, and imagining how they can help solve the problem.